Charming Village house 25 min from TLV! 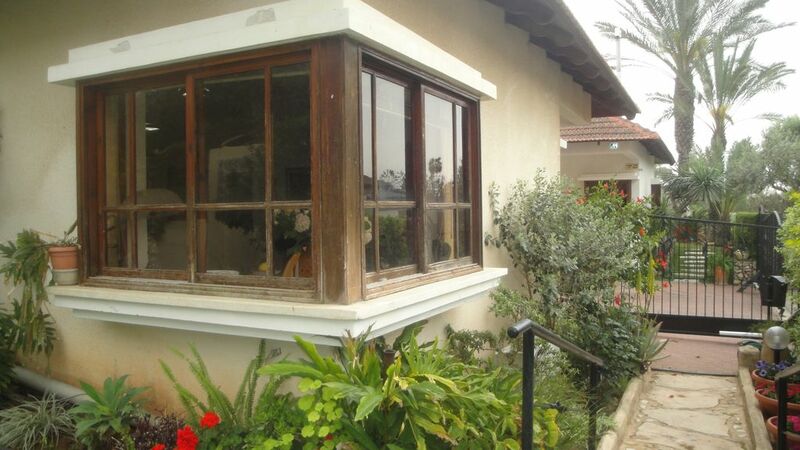 Charming village house in a lovely green and luxurious neighborhood in Hod Hasharon, only 25 minute drive from Tel Aviv! A Great place to stay comfortably with your family in the summer. The house is available to rent for 4 months - from Aug till Dec. Enjoying the life in the village while being in proximity to Tel Aviv and its endless cultural offering. Full occupied house with 2 bedrooms, 2.5 bathrooms, kitchen, dining room and a big Garden. The house is fully furnished. Hod Hasharon, a city in the southern Sharon region, was founded in 1964 when several small farming villages were unified into one city. It retains a feeling of a Moshava with lots of parks and even some orchards. This upscale city has a population which is mostly traditional and secular, while there is also a small Orthodox community. The city invests heavily in education. There are several elementary schools, including three specialized ones: Neve Neeman for the arts, a Tali school, and the Democratic School. Hod Hasharon is located in close proximity to the industrial parks in Petah Tikva, Raanana, and Kfar Saba. Many residents commute to Tel Aviv. There are intra-city and inter-city buses that run frequently. The Kfar Saba train station is a 15 minute drive from the city.